I knew the moment I read the title that I needed to get this book. My passion for geography demanded it. The book did not disappoint. I especially liked the first poem by J. Patrick Lewis where he briefly describes each of the seven continents. It amazes me how much information about manages to squeeze in. I plan to use this poem with my older students this coming school year. I've decided to use this summer's reading theme (One World, Many Stories) as my theme for the upcoming school year. This poem fits in perfectly with that. I also especially liked the poem by Kathryn Madeline Allen where she personifies the Equator, what a fun idea. I might use this one to have my students personify each of the seven continents. I confess freely that I am all about color. I love bright cheerful colors and the illustrations in this book are full of them. The bright colors help convey the idea that the world around us, however small, is a fascinating and interesting place, full of new places to see and new adventures to go on. This book does encourage the travel bug, sigh, for those of us without the funds to do so, but it also encourages exploration of the seemingly small places around us. It is amazing sometimes how much about the place I live that I am missing out on. Highly recommended for those who want to see the world. Today's post is going to be fairly short because I have some other things that really need to be done, but I love Book Talk Tuesday, and I wanted to share one of my favorite series for new and struggling readers. 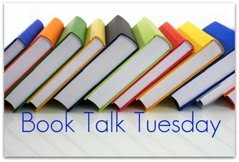 Book Talk Tuesday is being hosted today by LitLad. Grades 1-3Reviewed from copy provided by publisher, artwork not yet final. Available in stores on July 26th. All three of these books combine prose with comic style imaginative adventures. 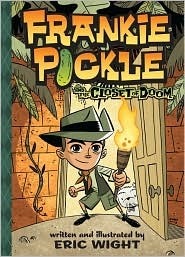 I love the way Frankie turns his challenges into imaginative adventures. I also appreciate the way the author lets Frankie discover things on his own. As most teachers and parents learn, sometimes kids have to learn things on their own, no matter what advice we might give to try to help them. While Frankie is discovering things on his own, he still has his family there to help when he needs them. The challenges Frankie faces are all typical challenges that many kids face, cleaning one's room, scouting, and math. I think its especially awesome the way Wight deals with math struggles in the newest volume. 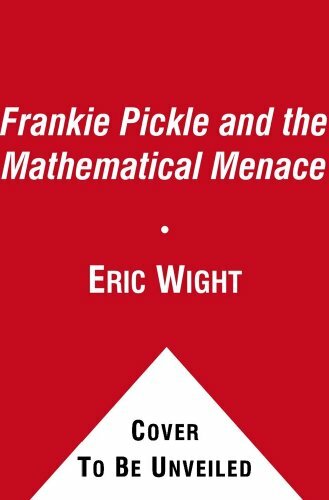 This book could be a great way to help students understand the importance of math in a fun, imaginative way. While I didn't see the finished artwork for the third book, I have no doubt it will be as delightful as the other books in the series. Highly recommended for students learning to read and struggling readers. There are some stories that need to be told regardless of how sad or horrifying they might be. The challenge becomes even harder when the stories are being told to children. How much should one include? What details are necessary and what can be left out without changing the story too much? And what about stories that involve extreme violence and severe suffering? How best to tell the story? These questions can be debated over and over again because there is no one right answer. No two authors will present the same story in the same way. I have a hard time reading books that get really graphic. I know that if the book makes me sick to my stomach that I will never be comfortable sharing it. 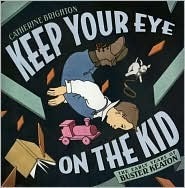 But today I'm highlighting two books that tell stories that involve children facing war and starvation. One book is fiction, but based on a true story and the other is nonfiction. Both books do a good job of telling the story the way it was/is without getting overly graphic. While the book does explain some of the horrors that the Lost Children of the Sudan and the other refugees faced, it does not do so in a graphic way, and the story is not about despair or violence, it's about hope, which makes the book great to share with students who face their own challenges. John and Martha, as children growing up in Sudan in the 1980s, both find themselves caught in the midst of a growing civil war. Both are forced to flee their homes, and travel hundreds of miles on foot, suffering thirst, hunger, and sickness, in order to find safety in Ethiopia. But their refuge proves only temporary, when a new government takes charge of Ethiopia, the refugees are violently forced back into Sudan, where war still rages. Both John and Martha find the courage and hope to survive despite their awful circumstances. And both John and Martha survive to build better lives for themselves. The book does describe many violent acts, including deaths through animals and warfare, but they are not graphically portrayed. If you decide to use the book in a classroom, you'll want to pre-read to make sure the material is appropriate for your students. The story is a powerful one, about survival, hope, and the difference that one person or group of people can make. I highly recommend both of these books, but please read before sharing with your children. This type of story is not appropriate for all children. It's Nonfiction Monday and it's my turn to host. I'm excited to be a part of this weekly activity. If you have a book or books to share, please include it in the comments and I will add them to the post throughout the day. She could remember standing in a park near the falls, hypnotized by the sight and sound, and holding her father’s hand as they took a walk that would lead them closer. That’s what everyone wonders when they see Niagara . . . How close will their courage let them get to it? 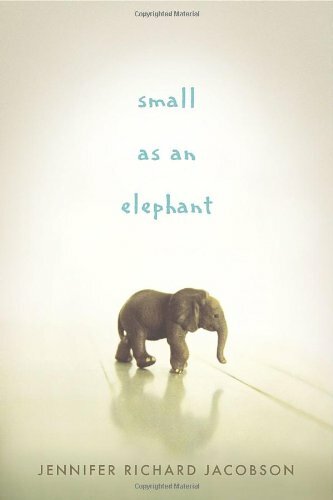 Strengths: This book is typical Van Allsburg with an intriguing story, never before told in picture book format. What is especially interesting is that this is a true story. I guess sometimes truth really is stranger than fiction. 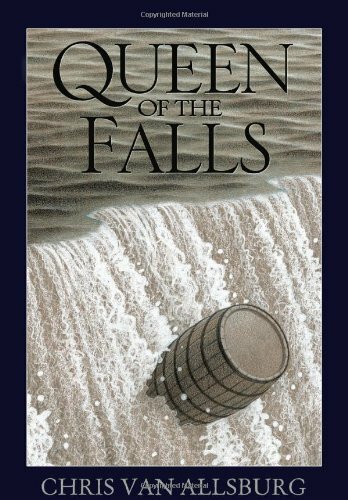 The author starts by putting us at the top of the waterfall with Annie, just as she is about to go over the falls (without telling us who is in the barrel). Then he explains why Annie decided to do such a crazy stunt, she hoped it would make her rich, so she wouldn't have to try to eke out a living as a store clerk or cleaning lady. The same reasons that people do such seemingly crazy stunts today, fame and fortune. The writing is smooth-flowing and tells the story well, but it's the illustrations that make the story stand out. Unfortunately, for Annie she wasn't young and beautiful and as a result the public wasn't interested in hearing her story. The facial expressions are fantastic and show clearly the feelings of the people involved, the spectators, barrel makers, Annie herself, and her 'manager.' Normally I prefer color illustrations, but Van Allsburg's are so superb that color doesn't seem to matter, in fact the black and white seem to help delineate the feeling of the historical era. Weaknesses: I have to admit, I don't really see any weaknesses in this particular book, except maybe the length. Like many of Van Allsburg's books, this one has a lot of writing, making it more appropriate as a read-a-loud for an older audience. Here are some other reviews for you to check out: Waking Brain Cells, New York Times, A Fuse #8 Production, The Lemme Library, and Abby the Librarian. Brenda at Proseandkahn talks about The Watcher, Jeannette Winter's newest biography about Jane Goodall. Jeanne at True Tales & A Cherry on Top highlights Keep Your Eye on the Kid: The Early Years of Buster Keaton. Tammy at Apples With Many Seeds looks at Fatty Legs: a true story by Christy Jordan-Fenton and Margaret Pokiak-Fenton. It's in recognition of National Aboriginal Day held June 21st in Canada. Bookmuse reviews All the Water in the World. SimplyScience highlights Seven Wonders of Space Technology by Fred Bortz. Jeff at NC Teacher Stuff talks about a DK Eyewitness book about Flight. Anastasia at Picture Book of the Day reviews Sarah Emma Edmonds Was a Great Pretender: The True Story of a Civil War Spy. She also takes a look at The Adventurer's Handbook at Chapter Book of the Day. Margo at The Fourth Musketeer takes a look at Miss Dorothy and Her Bookmobile by Gloria Houston. Ms. Yingling Reads reviews three nonfiction books. Betsy over at A Fuse #8 Production reviews Eat Your Math Homework by Ann McCallum. Janet S. reviews Neo Leo by Gene Baretta. Amanda at A Patchwork of Books has a review up of Oil Spill! Disaster in the Gulf of Mexico. Books for Learning highlights a nonfiction series entitled Animals with Super Powers. I'm not sure I'd call storms wonderful, but they are definitely wild. I do enjoy a good rain storm now and then, but not the kind of storms mentioned in the books I'm highlighting today. 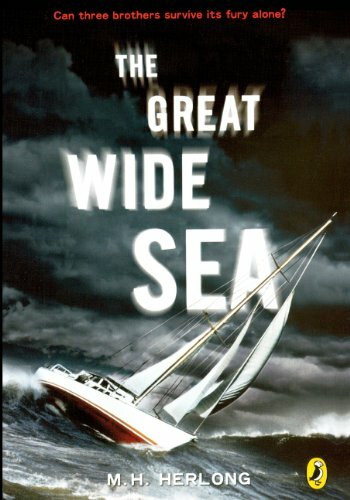 But with the dreadful tornado season that the U.S. has had this year, and hurricane season under way, these books may help students understand the power of these storms. This is a story of the power of Mother Nature and her storms, and the resilience of the human spirit. Ben, the oldest boy (15/16) tells the story of his family's journey to healing and their struggle to survive both the internal and external storms they experience. The writing is good, but secondary to the plot which pulls the reader along and involves the reader in the ups and downs of Ben, Dylan, Gerry, and their father. Recommended for those who like good, old-fashioned adventure and survival stories. The horror of Hurricane Katrina is brought vividly to life in this fictional account of a boy, a dog, and the storm of the century. Barry's family tries to evacuate before Hurricane Katrina hits their home in New Orleans. But when Barry's little sister gets terribly sick, they're forced to stay home and wait out the storm.At first, Katrina doesn't seem to be as bad as predicted. But overnight the levees break, and Barry's world is literally torn apart. He's swept away by the floodwaters, away from his family. Can he survive the storm of the century -- alone? These I Survived books are great for reluctant readers. They are short, action-packed, and interesting. The writing is just detailed enough for the reader to be able to put themselves into the action, but not so detailed that the action slows down. Tarshis knows her audience and how to tell a gripping story. Highly recommended for anyone who likes survival stories. The previous two books are I Survived The Sinking of the Titanic, 1912 and I Survived the Shark Attacks of 1916. The next one will come out in September and is called I Survived the Bombing of Pearl Harbor, 1941. Henry Holt and Company, 2011. But when a hurricane sinks the ship and most of its crew, it is Quebrado who escapes to safety. He learns how to live on land again, among people who treat him well. And it is he who must decide the fate of his former captors. (Goodreads.com)This book tells a fascinating story about a part of the world that many children are unfamiliar with, despite it's close proximity to the U.S. The story is told through the viewpoints of several of the characters, which provides a deeper look at the events described. While the main character is fictional the other characters are not. The story is a gripping one about slavery and what being free really means. The fact that the story is told in free verse poetry may turn some students off, but if they will stick with it there is much to enjoy and learn. This book would be great to use as a read-a-loud, or for class discussions. Highly recommended for those who love a well-told story. 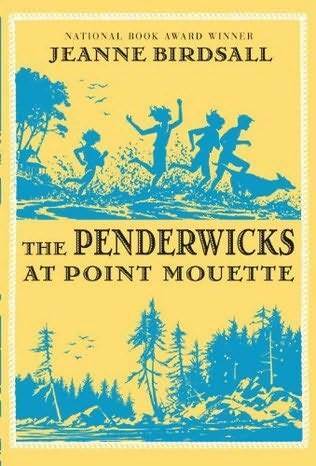 If you have not yet met the Penderwicks, you are seriously missing out. I confess right at the beginning that these are some of my favorite books of all time. The four sisters, Rosalind, Skye, Jane, and Batty and endearing and oh so flawed. Maybe it's because I am one of four sisters myself (and a brother), but I can relate to these girls so easily. Every time I meet them, I come away smiling or laughing. 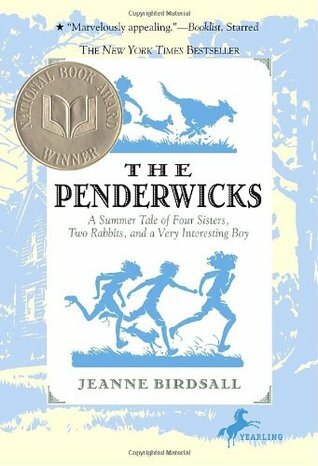 Now that you know that this review will not be objective in the slightest, let me introduce you to the Penderwick clan. As I mentioned above, these books are delightful. Not only is the writing very fine, but the characters feel so real, both the talents and flaws of Rosalind, Skye, Jane, Batty, and their friend Jeffrey show up loud and clear. This third book has a special surprise in store for Jeffrey, a plot twist that I should have picked up on before I did, but I was so involved in the sisters antics that I didn't notice it at first. I won't say more than that because I don't want to spoil it if you haven't read it yet. Happy sigh. Only problem now is that I'll have to wait for the next one. A fascinating story about a little person, probably the most famous little person, who made a mark on the world. The book provides not only a biography of Charley but also a look at entertainment in the 19th century. Charley spent most of his life on the stage. One wonders though, what made him so successful? Was it Barnum's superb but often deceitful marketing? Was it Charley's own talents? Was it his size? Or was it a combination of all three. That would be an interesting topic for discussion. Deceit in entertainment is another topic that this book raises, but doesn't analyze. The book is very well written and could make a fascinating read-a-loud. The pictures have clearly been carefully chosen to match the text, always a good thing in my opinion. One of my pet peeves is when the photographs don't match the text on the page. The only problem I had with the book is the picture of mermaids with their chests uncovered, however, the picture does relate to what is being discussed in the text. Overall, a great look at a fascinating topic. 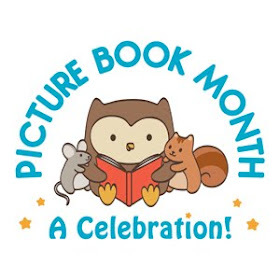 Nonfiction Monday highlights nonfiction book reviews for children on a weekly basis. This week it is being hosted by Book Together. And I get to host next week, my first time. I'm excited. Jacob Wonderbar has had a weird day. First there was that incident with the substitute teacher and the sprinklers. (Okay, maybe that wasn't so unusual for Jacob.) Then he and his best friends, Sarah and Dexter, discovered a silver man and a spaceship in the woods near their houses. Weirdest of all? The man offered to trade his ship for a corn dog! It sounded like a pretty good deal to Jacob, until he and his friends took their new ship for a test ride . . . and accidentally broke the universe. Now they must fend off space pirates, escape a planet that smells like burp breath--and find a way back home, before it's too late for them and their friendship. I must confess, books that turn teachers into villains irritate me to some degree. Probably since I know so many teachers who work so hard to help their kids. Plus, the substitutes I've met have been really nice. But Bransford made up for the wacky substitutes by providing a great teacher by the name of Miss Banks. I also loved the idea of a separate planet where teachers can go on vacation. Sounds great! I wasn't really expecting the book to be all that believable. I mean, breaking the universe?! But the story moves along at a brisk pace and soon the reader doesn't really care about whether the story is believable. 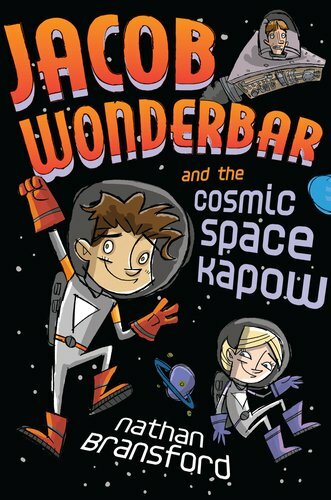 Jacob and his friends, Sarah and Dexter, don't just face strange planets, and space pirates, but also some severe tests of their friendship, which for kids this age is very real. So the characters can be related to, despite the wacky happenings. Recommended for those who love adventure and a fun story. I love reading books about other cultures, other places, and other times. But sometimes these stories can be really gut-wrenching. In this book, the main character, Zulaikha, is an Afghani with a cleft palate. Not only does this make eating, smiling, and talking difficult, but she is treated poorly by both neighborhood boys and her stepmother. It seems that her chances of making a good marriage are about nonexistent. When Zulaikha meets an old acquaintance of her mother, her desire of learning to read starts to bloom. Then the opportunity to have her mouth fixed arises and learning to read becomes secondary. At the same time, Zulaikha's sister, Zeynab, is preparing for marriage. Just when it seems all will work out, a devastating blow falls on Zulaikha, and she has to decide what she wants the most. I won't say any more than that because I don't want to give away the whole plot, just know that Zulaikha must make some hard choices. The book is very well presented and written. I was pleased at how well Reedy presents the hopes and desires of a girl from another culture. Some of the events in the story are difficult to read about coming as I do from a culture where men and women are valued more equally, but I cheered for Zulaikha in her efforts to find a balance between her family and her growing desires for an education. There were parts where I also grieved with Zulaikha when disappointments and heartache occurred. For me, when I connect with a character the way I did with Zulaikha to the point of crying, it's a sign that the author did what he/she set out to do. Highly recommended, but be sure to keep tissues handy. Note: some of the things mentioned in the book make it more appropriate for the more mature middle grade reader (severe burn described, war violence, cultural violence, etc). The book could also very easily be used with high school as well. Fourteen-year-old Laura Horton doesn't quite fit in. She lives in a crumbling mansion that everyone calls "the haunted house," and she has more in common with her parents' eccentric artist friends than with the girls at school. So when loner Leon Murphy moves in next door, Laura avoids him at first; she doesn't need anything else different or weird in her life. 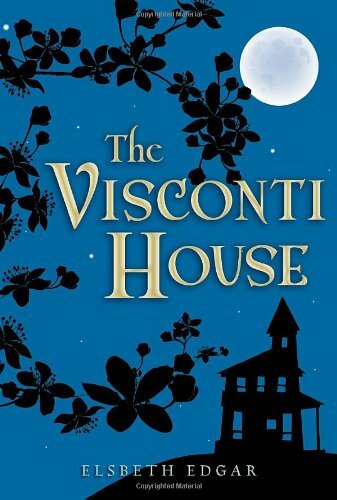 But when Laura becomes obsessed with uncovering the history of her house -- the Visconti House--she finds that Leon understands her need to know what happened to the lonely Italian gentleman who built it. Together, Laura and Leon begin to unearth the mansion's history, a history of elegant dances, thwarted love, and secret rooms. In their quest for the truth, the unlikely pair forms a deep friendship. But will their friendship, sparked by a shared interest in the past, survive in the present? The story takes place in Australia, a fact that seems unimportant at first, the experiences of Laura and Leon could happen almost anywhere. Being different is a topic that many kids can relate to as well as adults. But the location becomes more significant when Laura starts investigating the history of the house. there are several things that I especially liked about this book. First, I love the fact that the author seamlessly integrates the idea that history is not boring and can indeed be fascinating, especially when one gets down to the individual level. Many of the kids that I work with at school think history is boring. Another thing I really liked was the gradual development of friendship between Laura and Leon. Like most friendships, it has its ups and downs. I highly recommend this book, especially as a read-a-loud. I'll start by saying that I really like the Scientists in the Field series, and this one is no different. The high quality photographs and straight forward writing make these books fascinating to read. I didn't like this one quite as much as some of the others that I've read, but it is still good and shows the impact that field work can have in the real world. 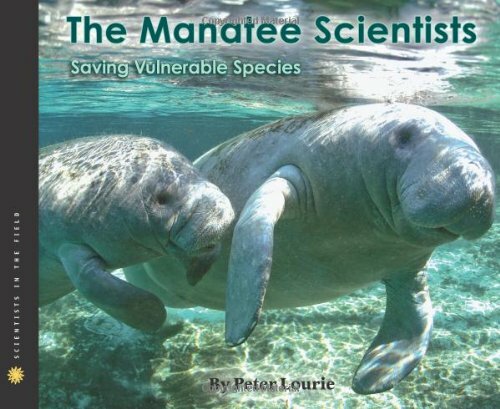 In this book, the author follows the efforts of three groups of scientists who are studying the three different species of manatees, in Florida, the Amazon River basin, and coastal West Africa. 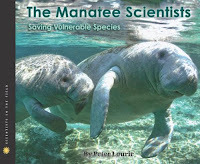 Lourie makes it clear that the Florida manatees have been studied the most because they are the easiest to locate. The Amazon River Basin is enormous and the murky water makes it hard to see these creatures who spend much of their time well below the surface. The same problem exists in West Africa. In the Amazon River Basin, Dr. Fernando Rosas and his team keep thirty plus animals in captivity in order to study them, but they are also tracking two manatees that they released into the wild. In Florida, Dr. John Reynolds and his team conduct population surveys by airplane, in addition to photo identification and mark-and-recapture modeling (capture a certain number of animals, then tag and release, and come back later to capture the same number, estimating population by number of already tagged animals they recapture). Biologist Lucy Keith spends a lot of time interviewing local fishermen and hunters in order to get estimates on how many manatees live in the area and how they live, she also strives to encourage conservation. The design of this book, as in all the others in the series that I've read, is high, the photographs nicely compliment the writing as much as possible (considering that several of these teams can't find the animals in the wild). The writing is clear and crisp and easy to follow. Highly recommended for those who love learning about how science works. 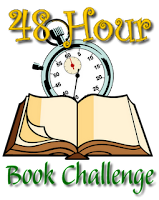 Nonfiction Monday is being hosted today by Chapter Book of the Day. 1/2 hour of blogging/social networking etc. I was surprised that I didn't get more books read considering the number of books I used to fly through when I was younger. I think there are a couple of reasons for this. First, I read more thought-provoking books now than when I was younger, and second, I think and question more as a I read than I did as a child. Anyway, now I have a starting point for next year. It has been fun to get some books read over the weekend, I d did finish an additional book after my time expired, so I finished 5 books over the weekend which is kind of neat since I have so many books I want to read. I will be reviewing the books that I read over the coming week. I do want to thank all those who stopped by my blog during the Challenge, I sure appreciate it. Wow, almost six hours down and I've only finished one and a half books. The Manatee Scientists I finished and will be reviewing soon (probably for Nonfiction Monday). I'm halfway through Words in the Dust, which I am finding very compelling, but also heart tugging. I guess I get so attached to the characters when I read a good book, that I vicariously experience the ups and downs in the book. I am amazed though at the way the author manages to portray a young Afghani girl, when not only is he not a girl, but he is not Afghani either. I'm going to finish this one before I go to bed. I think I'll try something a little lighter for my next read. Thanks to all those who've taken the time to visit my blog! Good luck to us all. Read for at least 12 hours or complete 10 books, whichever turns out to be the most doable. I will donate $1 for every book I complete and for every hour I read. My donation will be made through my church. I plan to read from approximately 11:30 a.m. Friday morning until 11:30 a.m. Sunday morning. I do have some other activities that need my attention so I will read when I can during this time. I am not necessarily going to read them in that order, but those are the books that I have chosen for this challenge. It was a challenge to chose from the many great books available (I do have stacks around my house). There's my weekend all blocked out (mostly). I confess I am quite excited to read some great new books. Here's a link to the starting line.